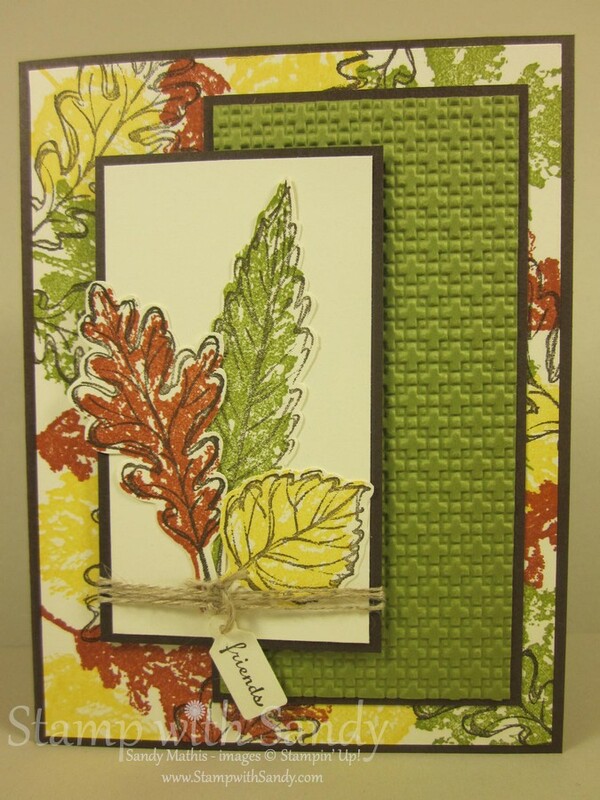 I don't ever seem to tire of creating projects with the Gently Falling Stamp Set. I hope you don't get tired of looking at them! 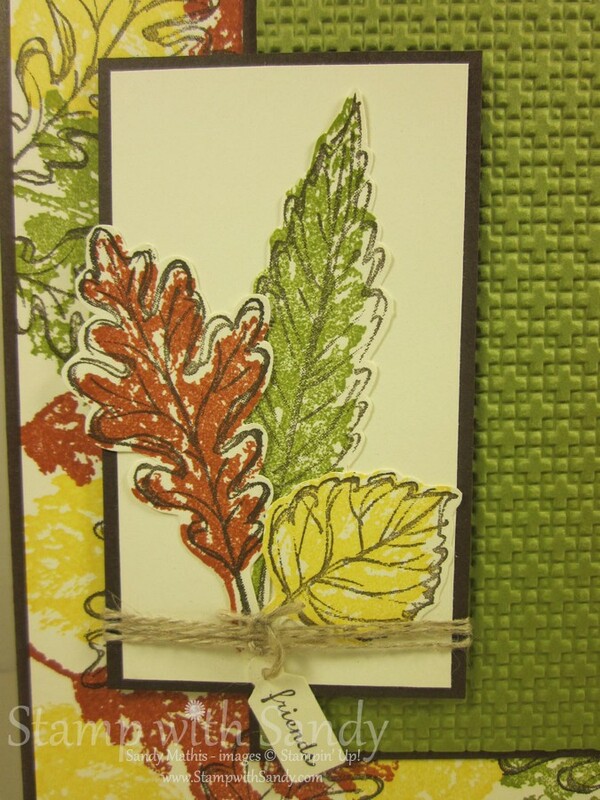 Today's creation was inspired by the folks at Pals Paper Arts. This week they are giving away blog candy, and you can play along to win, too! 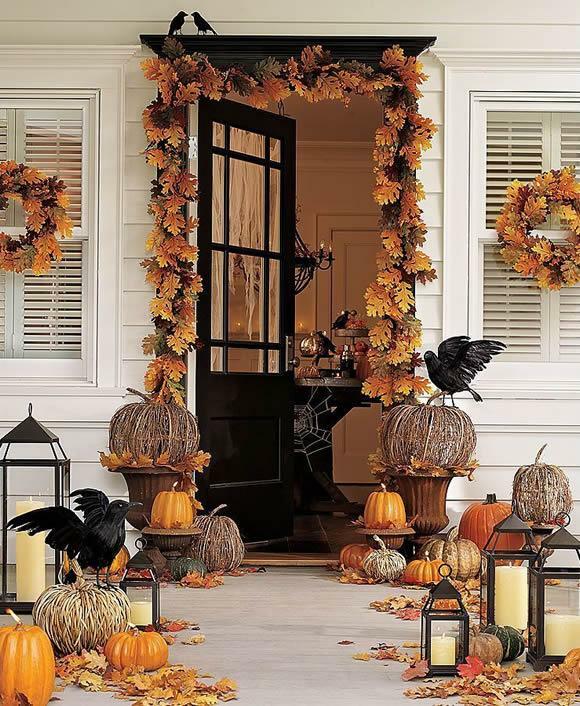 Wow that is one gorgeous doorway! Pals Paper Arts hopes it inspires you to create a fall card this week! 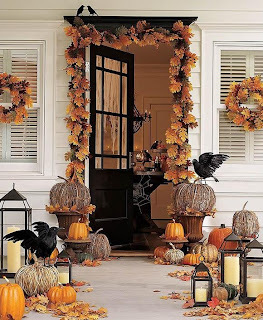 Thanksgiving, autumn, harvest or Halloween - pick your own fall theme and link it here at PPA! 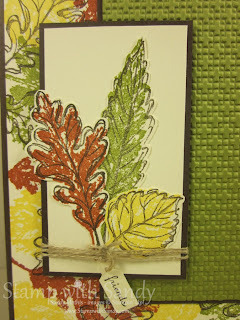 I made my own background paper using Daffodil Delight, Old Olive and Cajun Craze ink with my Gently Falling stamps. 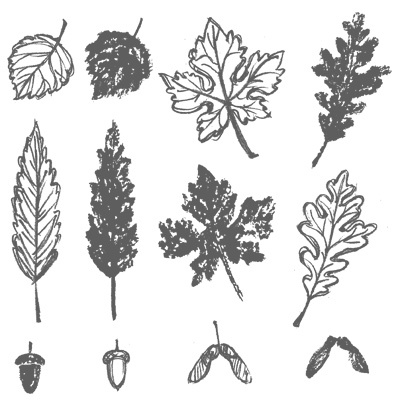 I then cut out a few of the leaves for the focal image. A Tiny Tag finishes it off. PS: While you're shopping, don't forget to check out the new items in the Clearance Rack, including lots of item perfect for the holidays! Find them by clicking here, but hurry, quantities are limited! Just beautiful! Love how you designed your own background paper! This is absolutely stunning, Sandy! The colors are fabulous!